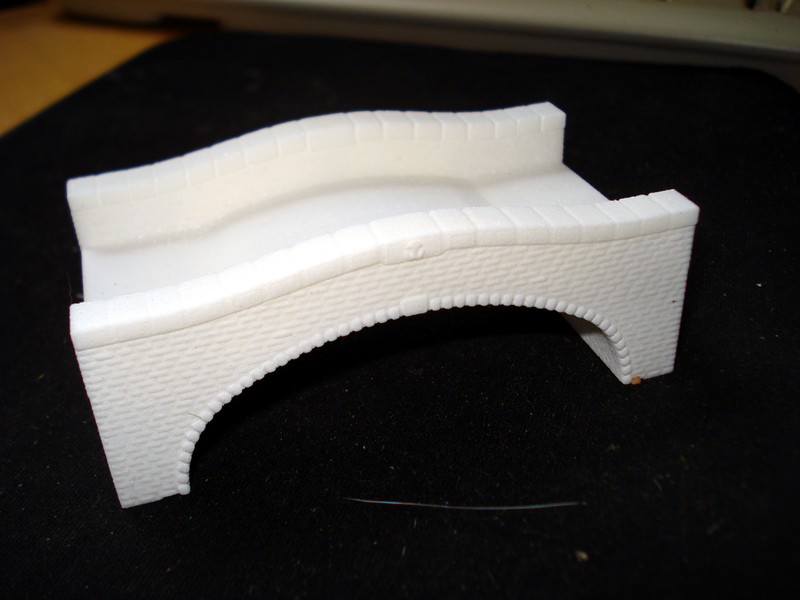 I sent my bridge design to the printers and I am quite pleased with the result as it came back from Shapeways, especially the detailing. Even though it's done in Strong and Flexible (as opposed to Frosted detail) the stonework shows up nicely. I will be painting it the coming weeks but as that has nothing much to do with Blender I'll probably will document that on my model train blog.